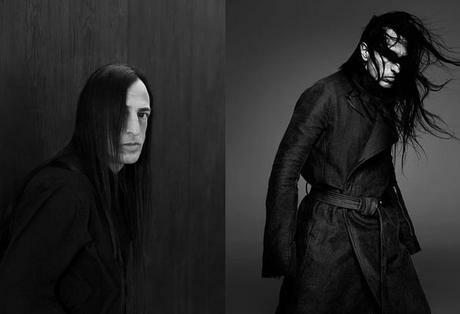 Rick Owens was born in Porterville, California, in 1962. He studied fine arts at Otis College of Art and Design in LA but dropped out after two years because he hated pattern-making classes. 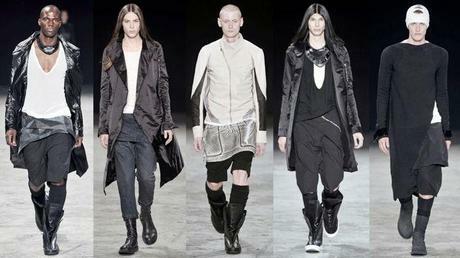 After that, he started working for some local companies specialized in sportswear and imitations of designer clothing. It wasn’t until 1994 that he finally created his own label and spent some years selling his creations exclusively to LA retailer Charles Gallay. In 2001, he opened his selling opportunities and signed with Italian sales agent Eo Bocci Associati for worldwide distribution so he had to move his production also to Italy. His first step to fame was when photographer Corinne Day shot Kate Moss, styled by Panos Yiapanis, (with whom he would continue working forever), wearing one of Owen’s fitted distressed leather jackets, and was published in Vogue Paris. After that, his pieces were well known all over the world and he finally showed his first collection in New York fashion week in September 2002, with the support of American Vogue and its editor in chief, Anna Wintour, who also featured him in a spread shot by Annie Leibovitz with the performing artist, Kembra Pfahler, as a model. After this first collection, he launched, in the second, his menswear collection which also showed in his S/S 2003 show in New York. After this second show married to Michele Lamy, despite being bisexual, and he decided to move, in 2003, from LA to Paris, where he finally settled, and started showing his collections in the French city. This move was also encouraged by winning, in 2002, the Council of Fashion Designers of America Perry Ellis Emerging Talent Award. In 2007, he received another prize, the Cooper-Hewitt National Design Award. Owens opened his first store in the Palais Royal, in Paris, where he also debuted with his furniture collection as well as with his wide variety of clothing lines, from the younger and more affordable Lillies to his very exclusive fur collection, Palais Royal. Later, Owens opened his second store in Tribeca, New York. He is famous by his avant garde and subversive eye, and his looks have been many times described as “glamour-meets-grunge”, always inspired by the rock and roll style but giving it a chic look. He says, “I try to make clothes the way Lou Reed does music, with minimal chord changes, and direct. It is sweet but kind of creepy. It’s about giving everything I make a worn, softened feeling. It’s about an elegance being tinged with a bit of the barbaric, the sloppiness of something dragging and the luxury of not caring. At Revillon, I felt it isn’t about displaying one’s junk, but rather giving the woman a selfish pleasure. 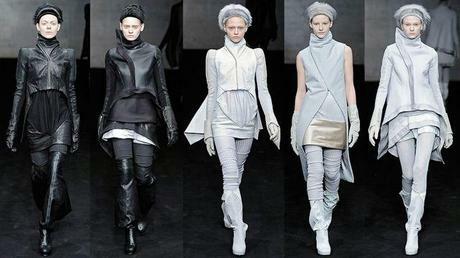 It is about using sable as the lining under a very humble jacket, the luxury is all hers.” This way is how Rick Owens is understood, a unique fashion designer.